Woo Hoo! We Just Certified Our Wildlife Habitat! 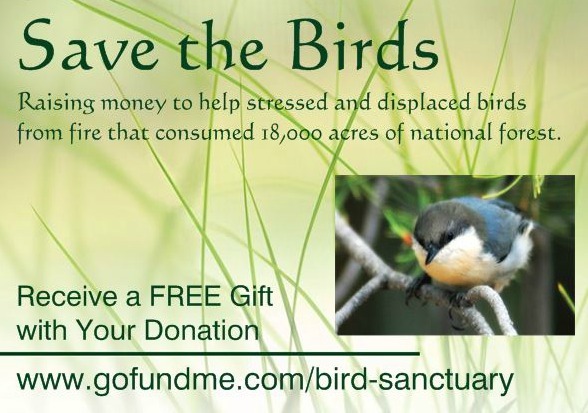 One of my commitments from my fundraising campaign was to certify my property as a wildlife habitat so I could more easily provide for the displaced birds that fled the 18,000 acres of national forest consumed by Dog Head Fire in June. And while I half expected this to be a daunting task, it was much easier than I expected. It was also a terrific educational experience in that I learned much more about what birds need in order to survive. We certified our place through the National Wildlife Federation. At first I was doubtful that we’d get certified. But after reviewing the requirements and doing a little homework, I was encouraged. 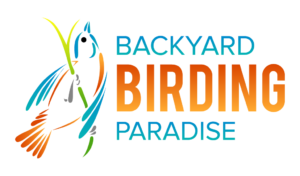 More importantly, going through the application process solidified my commitment to the wildlife and birds visiting our property. And here’s what I learned was needed for certification approval. FOOD SOURCES: Need 3 of the following types of plants or supplemental feeders. I got lucky here because Juniper trees are abundant on our property, which are a great source of berries. We also have tons of foliage and twigs, and nuts in the form of acorns. And, we have suet and bird feeders, along with a few hummingbird feeders, that I fill regularly. WATER SOURCES: Need 1 of the following sources to provide clean water for wildlife to drink and bathe. For this requirement we invested in a birdbath and a solar pump, which I fill and clean regularly. And our bird bath is visited all day long in the absence of other water sources, this the result of our location. But, it works and it meets the requirement. AWESOME! PROTECTIVE COVER: Need at least 2 places to find shelter from the weather and predators. Our property is a naturally wooded area and heavily populated with evergreens, dense shrubs, and various brush and log piles, so this was an easy provision. We didn’t need to add anything for protective cover. RAISING OF YOUNG: Need at least 2 places for wildlife to engage in courtship behavior, mate, and then bear and raise their young. Our property is also abundant in mature and dead trees, along with dense shrubs. 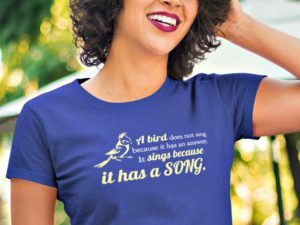 In fact, I currently have the pleasure of watching a family of Chipping Sparrows and Canyon Towhees gather off our back porch regularly throughout the day, and boy are they a noisy bunch! Lol. SUSTAINABLE PRACTICES: Should be doing 2 things to help manage your habitat in a sustainable way. The Soil and Water Conservation requirement worried me at first, until my husband pointed out that we already limit water use and reduce erosion with the natural groundcover on our property. Additionally, we’re agreed to find a solution for capturing rain water from the roof; this because he also wants to set up a greenhouse to grow vegetables for his Mountain Man Gourmet recipes. The other requirements were easy to satisfy because of our natural habitat (making it easy to control exotic species) and existing organic practices. Certifying my habitat has been a fantastic educational adventure, and I’m inspired to do so much more. Now that my certification sign has been ordered and is on its way, my next step is to purchase a few platform feeders for the larger birds, including the ravens and crows. Stay tuned for that update!